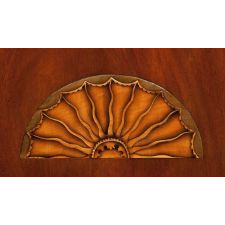 Mahogany case attributed to John and Thomas Seymour. 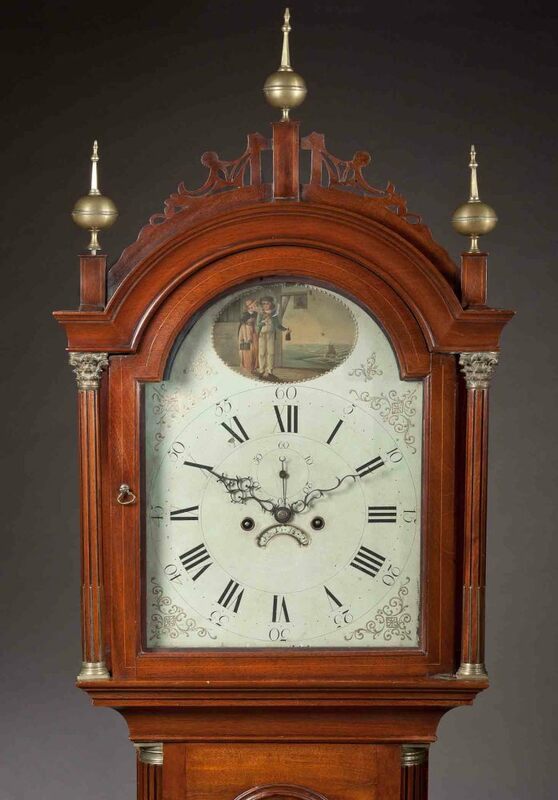 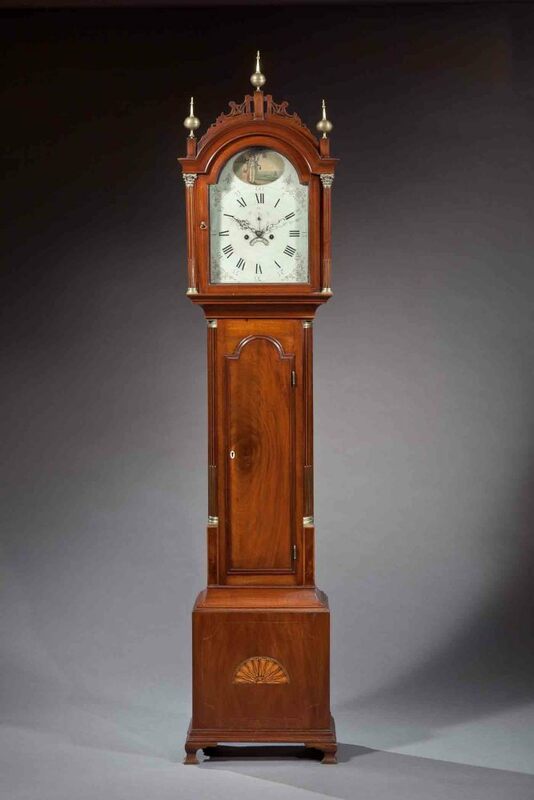 Reference: The construction details on a John and Thomas Seymour tall case clock discussed and illustrated as entry 145 in Robert D. Mussey, The Furniture Masterworks of John and Thomas Seymour are identical to this clock. 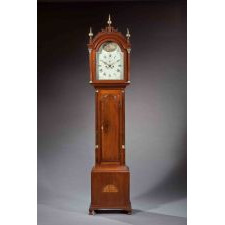 These details include the blocking behind the feet and the quarter columns, and the construction of the hood with each side joined to its base side board with two wide, double through tenons, each wedged securely. 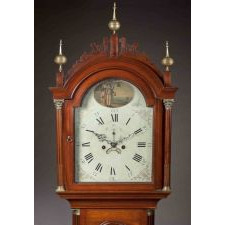 Another clock with similar inlay in the base appears in the May 1976 issue of The Magazine Antiques in the John S. Walton, Inc. advertisement. 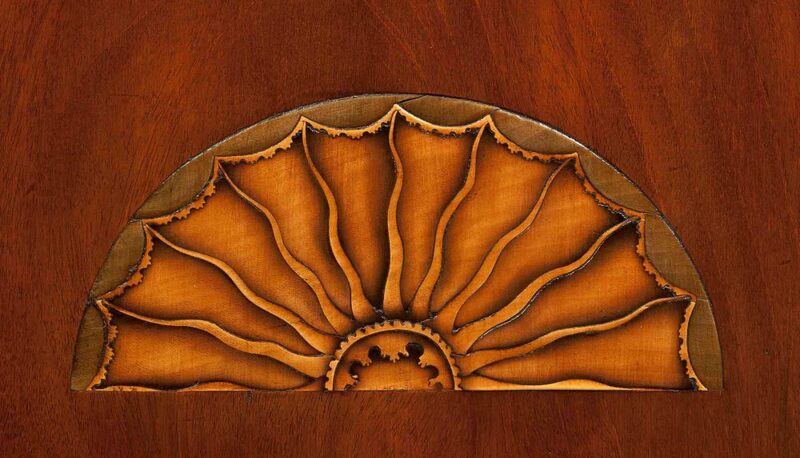 Please also see Vernon Stoneman's John and Thomas Seymour: Cabinetmakers in Boston 1794-1816 for the card table on page 202 with an almost identical inlay.